3’ - Oh and just like that, @romantorres05 gets his big head (made bigger with the afro) to earn a FK. The ‘fro adds quite the spring. 6’ - OH MY WORD! Oba -> Valdez! That was a thing of genius. 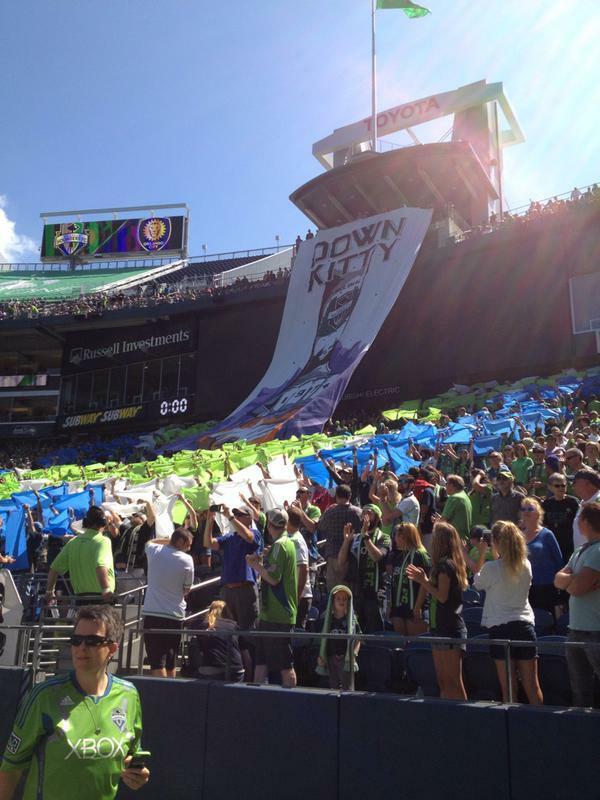 #Sounders almost open it up with the crafty play. 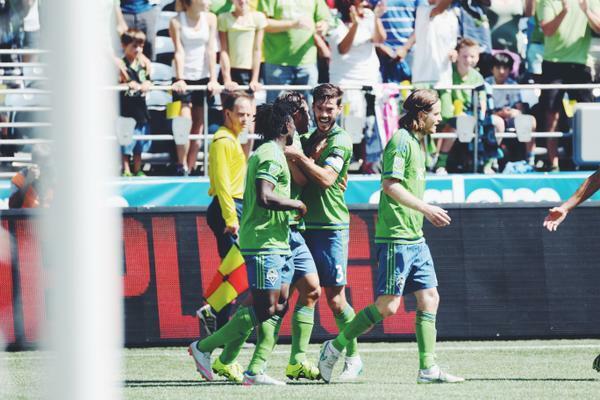 8’ - #TheSheriff @brad_evans3 looking miiiighty fine in midfield so far. That man is truly a thing to behold. 9’ - OBA! He gets another chance after getting a head to a bouncing ball in the box, but Tally Hall Punches it over the goal machine. Just a reminder: #SEAvORL is on ESPNews until the tennis match concludes. It will then be on ESPN2! 13’ - It turns out Valdez is good at #Soccer . His cross finds Mr. #253 , but his header is corralled by Tally Hall (who is a local, btw). 17’ - GOOOOOOOOOOOOOOOOAAAAAAL #ObaFlips ! 17’ - OH MY GOODNESS OH MY GOODNESS! @friberg28 feeds Oba who one-times with @LamarNeagle and he is wide open on net! 1-0! 19’ - HE’S NOT A MAN, HE IS A GOAL MACHINE! 21’ - ANDY ROSE! You blond Australian English sonufagun! He almost makes it two, but Tally prevents the second tally. 1-0 still. 22’ - First CK of the game for #Sounders . 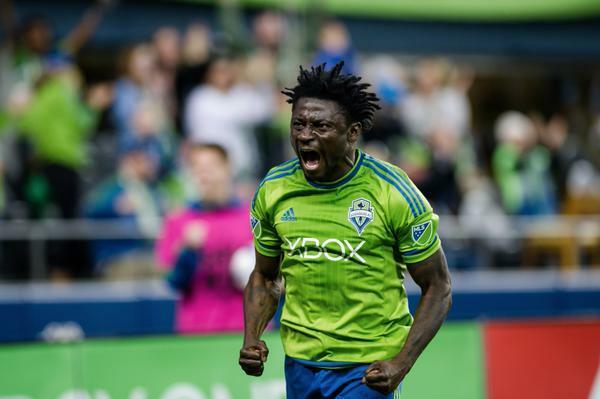 25’ - This #Sounders midfield right now = ???? 26’ - Kaka tries some things, but @LamarNeagle says “nah,” and sends him running back to midfield. Not here. Not today. 28’ - That @LamarNeagle is feelin’ it. Holds off an Orlando defender and earns another corner for our favorite Swede to take! 29’ - PENALTY! The referee points to the spot after #AirMarshall was brought down on the set piece! 30’ - SAVE! Tally Hall makes a HUGE stop as Oba takes it quick. His save on the follow up effort was pretty nice too. Still 1-0. 33’ - Goodness. Oniel chips a short ball forward to Rose, but it’s a bit too far and Tally picks it up. Bummer dude. 34’ - Hi @KAKA , meet @brad_evans3 . Figured you’re going to want to know whose pocket you’ve been in for much of this game so far. 40’ - Oh my… Turner claws over Lamar and earns his second yellow of the match. Two yellows = BYE BYE BIG GUY! 41’ - #Sounders to play the rest of the match with one more man on the pitch than the other team. That should be handy. Still 1-0. 45’ - Brad shot! His low effort is easily saved. I think he might have been as surprised he was shooting as I was. 45’+ - There will be two minutes of added time. TWO MINUTES!
. 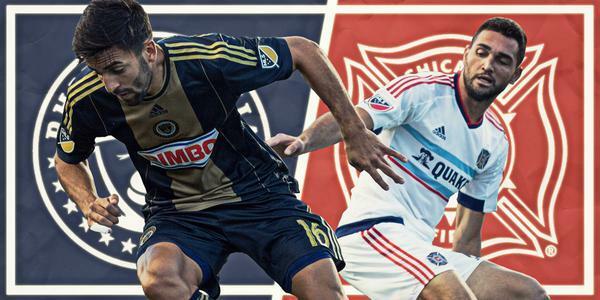 @PhilaUnion face @ChicagoFire for the second time in five days. 47’ - Also, No subs. Still only 10 men for the Lions. 47’ - Aaaaaand Oba shoots from 40 yards. 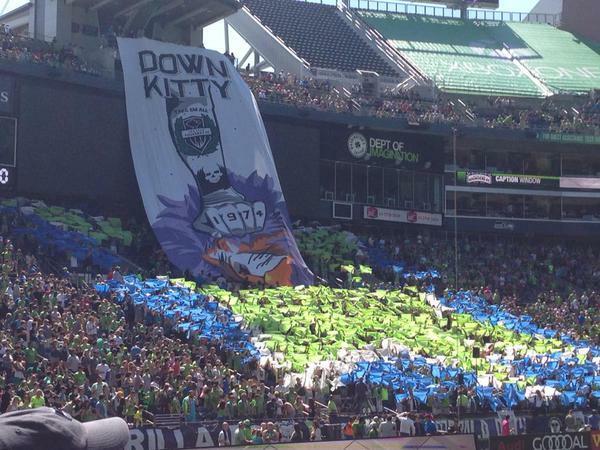 It sails into @WeAreECS , but hey, why not? UPDATE: #SEAvORL has switched back on over to ESPN2.